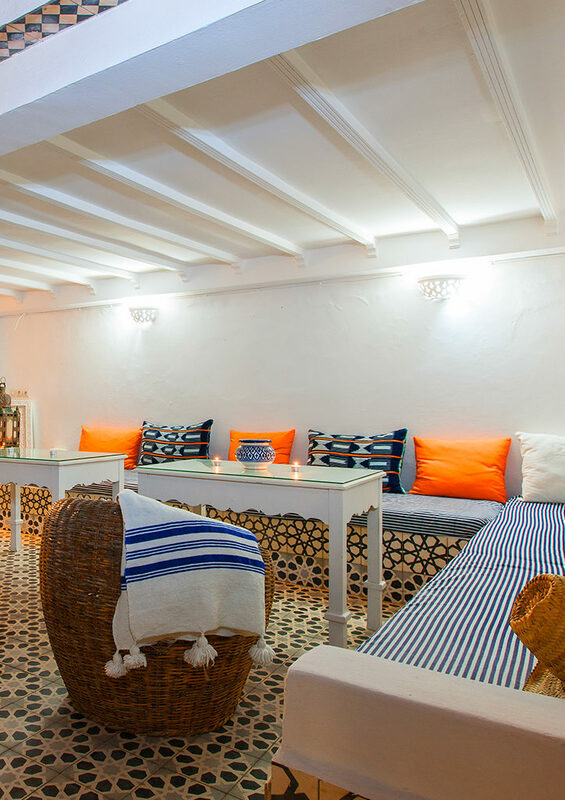 Riad Emotion is a beautiful 18th century mansion with an exceptional location in the medina. It is 500m from the beach, close to the shops and points of interest. Riad Emotion offers you the magic of a journey through the five pillars of Souiris culture and incomparable hospitality that made Morocco famous. You will appreciate the elegance, charm and refinement of our suites called Mogador, Arganier, Thuya, Les Alizés or Gnaoua. They have all the comfort of international standards for boutique hotels. 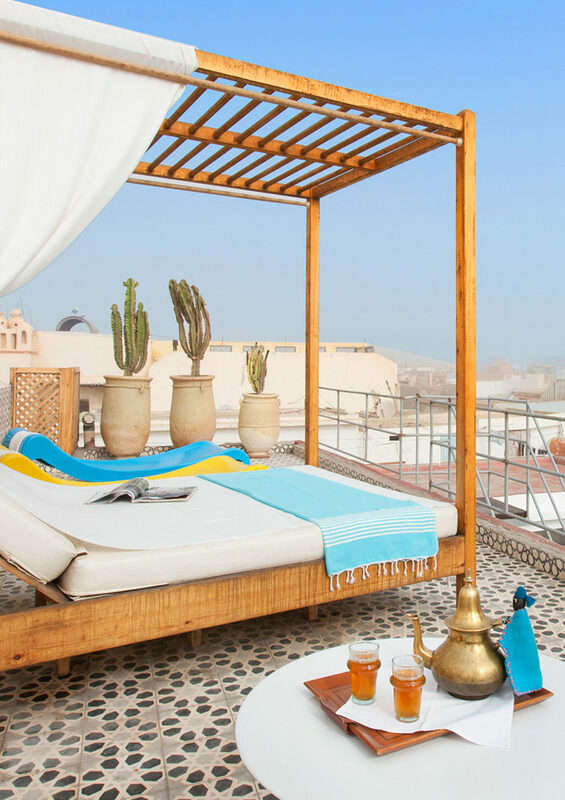 Enter Riad Emotion and let the calm and serenity fall over you. Welcomed by the sweet but subtle scent of flowers that lingers in the air surrounding you, as you past the entrance you wondered if it is the fresh flowers or the ambient candle lit by the door. We invite you to feel at home but enjoy the luxury of getting away. 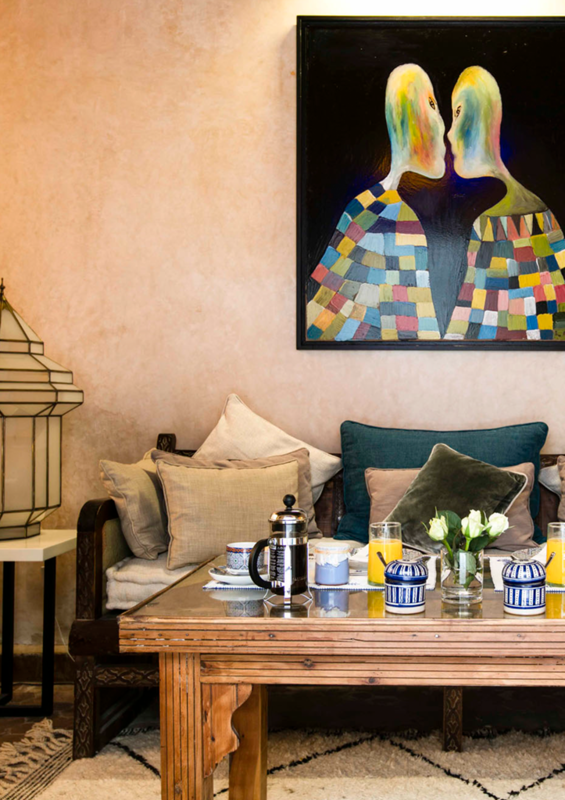 Our riad’s atrium fills the rooms with soft daylight and our pristine white walls and Moroccan influenced furniture and decoration deliver an immediate relaxation from Essaouira’s busy medina streets. In the atrium, the lounges and in every room you will discover the elegance of the Moroccan style décor enriched with a touch of French influence, reflection of our common story: a revisited style modernized… like the Riad Emotion. No detail is overlooked; each piece has been thoughtfully placed and chosen precisely for the style and overall design. A classic yet modern mix creates a unique style of its own.